The ‘War Between the States’,or Civil War in the United States is called many different names, depending on who you are and where your ‘people’ are from. Most just refer to it as the American Civil War, however it has many names. ‘War of the Rebellion’, ‘The War Between the States’, in the south, ‘War of Northern Aggression’, and in the north, ‘War of Southern Aggression’. It was by far, the worst war and time of political and social uprising and turmoil that our country has ever seen. Several cities were destroyed and countless families were torn apart when relatives joined either side, fighting against their own flesh and blood. Because of the significance of the war, and its aftermath, many historians and citizens have paid tribute to the fallen from each side, by remembering the battles that took place, and capturing the significance of all of the events from the war. Year after year, members of organizations, get together to remember the history, and enjoy community. 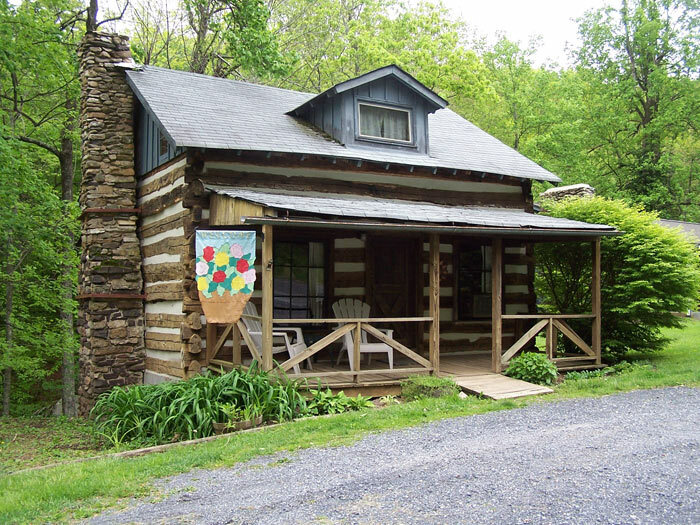 If you love Civil War history, or just want to stay in a historic cabin, Cabin Creekwood has a unique piece of history on our Virginia mountain resort property just for you. 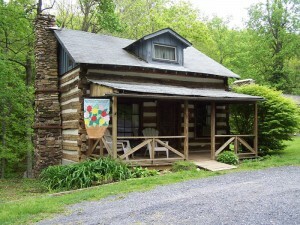 Logwood Cabin is a TRUE, authentic, Pre-Civil War Log Cabin that you can stay in. (Don’t worry, it’s been fully furnished and renovated to include indoor plumbing and electricity, but the rustic feel of the cabin is truly authentic.) Cabin Logwood is a Civil War cabin, built by a Confederate soldier and features wood floors, overhead beams that are pretty low and an antique claw foot tub. This and some other cabins for rent in VA available at Cabin Creekwood Shenandoah Valley / Sherando Lake resort will sleep up to 4 people, even though it is a 1 bedroom/1 bath cabin. Save money and stay together. There are 2 double beds in the loft / bedroom area. A deck overlooks our picnic table area and you can even grill out on the charcoal grill down by the creek. At the time of this post(4/4/16), Logwood Cabin in VA is booking up fast for the summer! Make plans and book now if you wish to stay in it! Here are some available dates right now: April 11-14, 18-21, 25-27. May 2-5, 14-18, 26-June 2. June 6-9, 15-16 and 20-30.